Have your social media activities spiraled out of control? Are you looking for tools to simplify the management of your social media marketing? Would you like better insight into your audience or the ability to compare your social activities against the competition? These are some of the capabilities you’ll discover in the five social media management tools listed below. In this article I reveal five social management tools that just might make your life a bit easier. Check out what they have to offer and see if they are a good fit for your business needs. One of the best things about Sprout Social is the user interface. Many people find it easier to process and digest data when it’s presented graphically. That’s one of the strengths of this tool—you can quickly check data and figure out how to respond to it. Sprout Social gives you the information you need in an easy-to-read graphic format. Another important aspect of Sprout Social is the Smart Inbox. It’s designed to help you respond quickly and easily from different social media accounts (Twitter, Facebook, etc. ), post different message types (mentions, direct messages, wall posts, etc.) 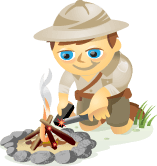 and even sort by brand keywords. Sprout Social offers different tabs for you to respond to messages. There are a wide variety of ways you can use Sprout Social to manage your campaigns, but one of the best is the Twitter Comparison Tool. 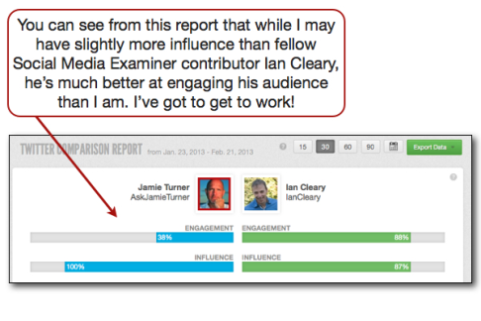 It’s a great way to compare your Twitter usage to that of your friends and competitors. 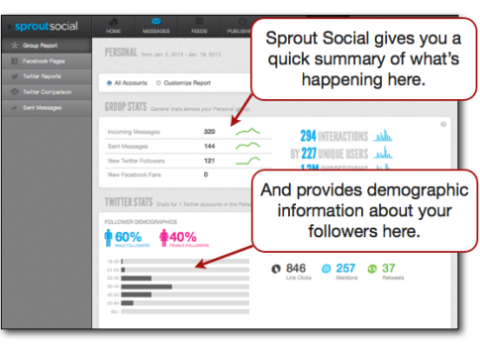 Use Sprout Social’s Twitter Comparison Tool to compare yourself with others. Sprout Social is ideally suited for people who like to digest and process information visually. It can be used by individuals or teams and has very solid reporting and analytics. The cost is reasonable and their free 30-day trial is perfect for people who are interested in taking it out for a spin. If there’s one thing everyone reading this article has in common, it’s that we’re all comfortable using email. A message comes in, you open it and then you respond. 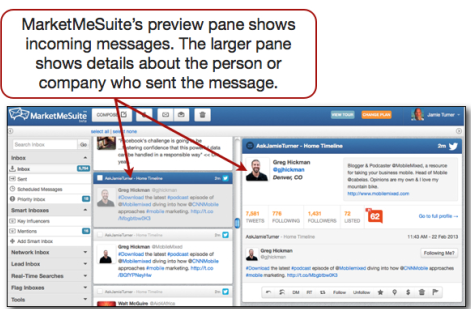 That’s the approach MarketMeSuite uses for its social media management tool. The dashboard is designed to work the same way an email inbox works. You can look at messages in the preview pane, and then open them up to explore more about the person who sent the message. MarketMeSuite is designed like an email inbox. If you’re like many people, you’re busy trying to run the day-to-day operations of your business, so sitting down and learning a new tool by trial and error is time-consuming. One of the strengths of MarketMeSuite is that it has a built-in tutorial to walk you through the basics of using the platform. The tutorial guides you through a simple 9-step process to help you get up and running fast. Best of all, it takes the guesswork out of trying to figure out all the bells and whistles—just complete the tutorial and you’ll have a great foundation to work from. 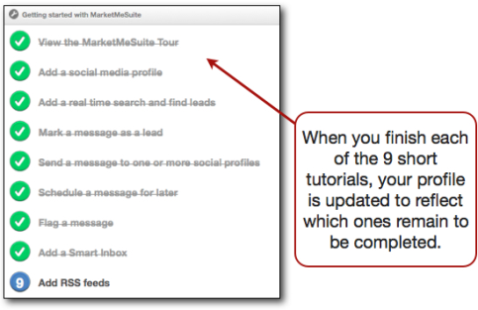 MarketMeSuite has a built-in tutorial. MarketMeSuite has plenty of other strengths, too. Their geo-targeting feature allows you to locate customers using social media who are near your business. It allows you to manage multiple social media profiles. 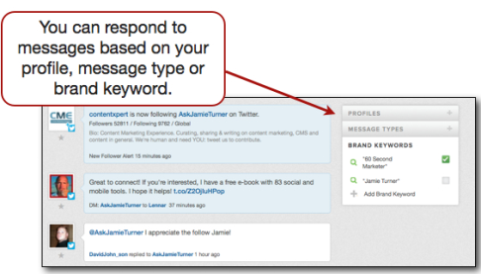 And you can schedule messages across social networks with just one click. You might be interested in taking advantage of MarketMeSuite’s free service as you make up your mind about which of their fee-based programs suits your needs. Here’s a question: If you found out that 70% of your customers described your product as “cheap” while only 30% described it as “a good value,” would that be important to your business? Absolutely. And that explains one of the strengths of the Sendible platform. With its 360° brand monitoring and sentiment analysis feature, you’re able to read and respond to what people are saying about your brand across the web. Plus, if you want to really be proactive, you can monitor what people are saying about your competitors’ products, too. 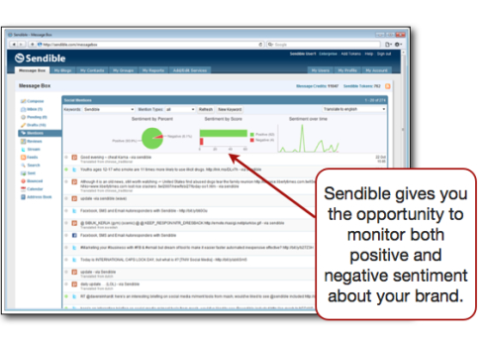 Sendible allows you to monitor both positive and negative sentiment about your brand. Like other social media management platforms, Sendible provides a wide variety of features at an affordable price. You can engage with new and existing customers across multiple platforms, analyze and track your social media and email campaigns, measure the success of the content you share and a multitude of other things. Sendible is terrific if you’re a data junkie; there’s a lot of information to plow through with their platform. The user interface isn’t as elegant as some of the other options mentioned here, so if “look and feel” is important to you, it might not be perfect. But if you’re more focused on content, then Sendible has plenty of data that can be put to use for your business. If you want to combine the data available in Sendible with the user interface available with Sprout Social and MarketMeSuite, then you might want to check out Socialbakers. Socialbakers tracks fan growth across multiple platforms so you can determine which content was the most well-received by your audience. It also allows you to analyze fan growth by days of the week and times of the day. That way, you can track when your audience is most likely to respond to your content. 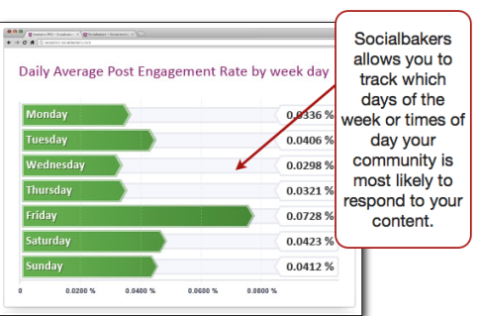 Socialbakers gives you a lot of data in an easy-to-read format. Are you interested in tracking how your social media campaigns are performing compared to your competitors? You’ll like some of the tools available with Socialbakers. You can compare how you stack up on Facebook, Twitter or YouTube and see all of your competitors’ pages, profiles and channels in an easy-to-understand dashboard. Best of all, you can analyze the content that prospective customers find most engaging, which leads to better content from you. 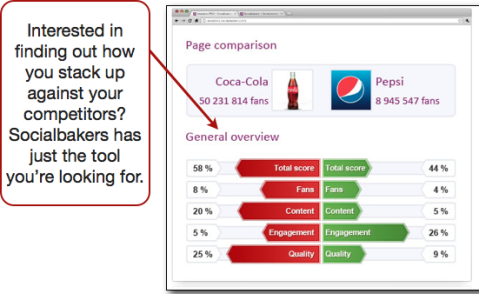 Socialbakers lets you compare results. Socialbakers also has a number of reports available on their website, including statistics from Facebook, Twitter, YouTube, Google+ and LinkedIn. It even breaks some of the data out by country, making it perfect for the international crowd. Is the idea of drilling down into vast amounts of data and analyzing what to do with it is a bit daunting? Enter Crowdbooster, a social media management tool for people who want their tools to make recommendations for them. With Crowdbooster, you can check the number of retweets, replies, impressions, likes and comments by date range or in real time. You can also drill down to see who retweeted you, how many shares were organic and how effective your campaigns have been. 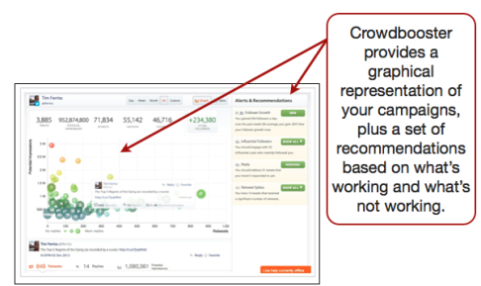 Crowdbooster provides you with the data you need to determine the success of your marketing campaigns. One of the strengths of Crowdbooster is that it provides email alerts that are dropped into your inbox each day. The alerts give you a summary of the data that Crowdbooster collected and, best of all, provides recommendations on how you should respond. That way, for example, when someone with a high Klout score follows you, Crowdbooster will recommend that you follow her back and engage with her. About the only weakness of Crowdbooster is the fact that it currently only supports Twitter and Facebook, so if YouTube, LinkedIn, Google+ or any of the other social media platforms are an important part of your mix, Crowdbooster may not be for you. But if you like the idea of having a tool that provides data and recommendations, then you’ll want to check it out. Which Social Media Management Tool Is Right for You? The tools listed above have a lot of great qualities. There are still others out there that you may want to investigate, including SproutLoud, Wildfire, SocialBro, MediaFunnel and others. No matter which approach you take, if you’re ready for a more robust platform, you can’t go wrong with the tools mentioned here.